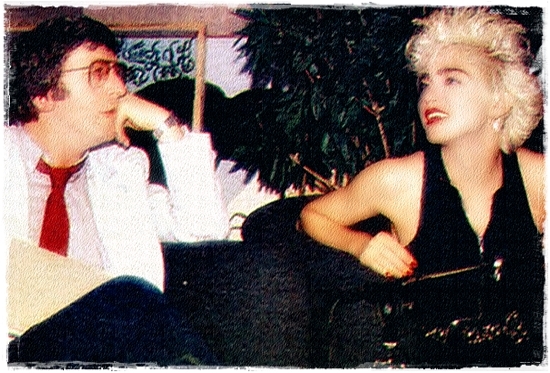 On December 22 1986, an exclusive interview with Madonna conducted by Simon Bates was broadcast on BBC Radio 1 in the U.K.
Madonna discussed her upbringing, her formative years as an artist, her work ethic, her marriage with Sean Penn, the press, Shanghai Surprise and more. On October 14 2005, Stuart Price was interviewed on BBC Radio 1 to promote the releases of Madonna’s Hung Up single and the Confessions On A Dance Floor album. On February 6 2005, BBC Radio One announced that Madonna was the most voted for female artist to be included in the UK’s Greatest Number One Singles of all-time. Madonna had two songs in the top ten: Like A Prayer at #4 and Vogue at #5. BBC Radio One asked fans to vote for the Greatest UK Number One Single to celebrate the 1000th number one single.